Luft Qi Filterless Air Purifier Reviews - Is It a Scam or Legit? Luft Qi uses UV-A LEDs to eliminate impurities and odor from the air you breathe, without creating potentially unhealthy ozone in the process. What Is Luft Qi Filterless Air Purifier? The small, simple, and stylish Luft Qi Filterless Air Purifier promises to use patented nano photocatalysis technology to destroy mold, airborne bacteria, allergens, viruses, bad odors, and toxic chemical gases wherever they’re found. This includes in your office cubicle, your (or your child’s) sleeping environment, the car, or anywhere else you need fresh air. Due to its nano-reactor, the air purifier doesn’t use filters, is energy efficient, creates very little noise, and is about the size of a soda can. 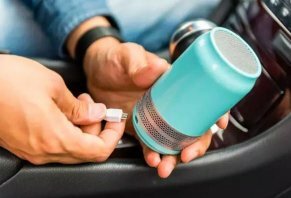 This means it also offers light weight and grab-and-go portability that you can take with you just about anywhere—just plug it into any USB outlet, and it's ready to operate. Before you hand over your money for the Luft Qi Air Purifier, let’s find out exactly what you might expect once it’s in your hands. Writing for ExplainThatStuff, Chris Woodford reports that photocatalytic oxidation (PCO) is a process whereby light energy converts air pollutants and other particulates into harmless substances. On the other hand, they point out that this process often creates ozone as a byproduct, which is itself a toxic air pollutant. The good news is that Luft Qi promises not to produce any potentially harmful ozone during operation. How Does the Luft Qi Filterless Air Purifier Work? Their website indicates the Luft Qi (pronounced “chee,” which means “air, breath” in Mandarin Chinese) Air Purifier measures 2.56" x 2.56" x 4.61", weighs 5.6 oz, and is constructed from ABS (Acrylonitrile Butadiene Styrene) plastic and aluminum. There’s also a handmade wood version available, which we’ll talk more about soon. Compared to the UV-C LEDs found in traditional PCO air purifiers, the company advertises this proprietary process eliminates contaminants just as effectively, but without producing a measurable amount of ozone. 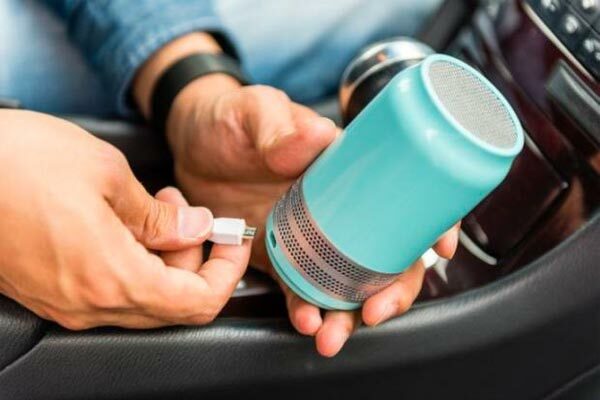 The Luft Qi Air Purifier is also designed to fit anywhere—even in your car’s cup holders—and run all day and night, although it’s important to keep in mind that it must remain plugged into a laptop, desktop, adaptor, power bank, or any USB port to operate. During operation, it will purify about 178 square feet. Or, the immediate air surrounding you. While we’re not told exactly how long this takes, according to their website, Luft Qi had been shown to destroy more than 80% of bacteria and mold in 30 minutes, while emitting nothing but harmless molecules like water. In an SGS Certification Test, it’s also been shown to remove 91% of formaldehyde, while boasting the ability to kill airborne viruses such as influenza (the flu) and enterovirus. On top of all this, we’re told it only costs $5 per year in electricity to operate. How Much Does the Luft Qi Air Purifier Cost? Regardless of the number you choose, the air purifier is available in Bright White w/Silver Ring, Bright White w/Maroon Ring, Bright White w/Iron Black Ring, Pink, Aqua, and Wood versions. Custom engraving (up to 15 characters) is also available for an additional $15. While Luft Qi’s Indiegogo campaign is live, you can cancel your contribution at any time. You’ll also have 30 calendar days from the date you receive your air purifier to request a return or exchange by emailing hello@luftqi.com. All devices also come with a one year warranty, starting from the date of shipping. What Do We Know About the Company Behind the Luft Qi Filterless Air Purifier? The Luft Qi Air Purifier is manufactured by Titus & Wayne based out of Taipei, Taiwan. The company was co-founded by CEO Titus Chang, who’s listed as having 15 years of sales and marketing experience within the LED industry, as well as CTO Wayne Chien, who has experience in material science, research and development, production, and in the semiconductor industry. Luft Qi vs. Molekule: How Can You Choose the Best Filterless UV-A Air Purifier? Based on what we discussed earlier about photocatalytic oxidation technology, it might not come as much of a surprise that there are dozens of different filterless UV-C air purifiers in the same marketplace as Luft Qi, ranging in price from less than $100 to well over $500. Square Footage 177 sq. ft. 600 sq. ft. Considering the fact these are the only mass-produced UV-A air purifiers currently available, choosing between the two could largely come down to your specific budget, size and technology preferences, and coverage needs. For example, if app access is a must-have, then Molekule is the only game in town while providing more than three times the coverage. However, it also weighs more than 30 times Luft Qi, isn’t portable in the same way, and is about eight times the price. So, if portability and price are your main must-haves, it might seem like Luft Qi is the clear winner. However, it’s also important to point out that Molekule is the only available UV-A air purifier, as Luft Qi is currently undergoing crowdfunding and isn’t slated to ship until July 2018. So, if you want something in your hands now, Molekule is the only device available. According to TIME’s Markham Heed, while many professionals are leery about the benefits of traditional ionizing air purifiers outweighing the potential disadvantages related to the ozone they produce, many agree that filter-based options can be effective for removing contaminants from very small spaces. However, since models like Luft Qi and Molekule promise to provide ionizing functionality while only emitting harmless molecules like water, it seems they might offer the best of both worlds. And since their features seem targeted at meaningfully different demographics, the ‘best’ option for you might largely come down to budget, size, portability, operation, and accessibility preferences. According to Consumer Reports, though, before committing to an air purifier purchase, you might try some simple steps like vacuuming using HEPA filtration, stop smoking indoors, minimizing the use of candles, using exhaust fans in kitchen and bath areas, and ensuring your heating and cooling equipment is cleaned regularly to help reduce indoor air irritants. I have been using the Luft Qi for a solid week. Seems to clean the air well. It was particularly helpful in the car where the residual dog smell was relatively strong. Not that I am going to stop taking the dog to other locations for his walks, but this makes the car more pleasant for others. I wanted the system for air travel. I intend to plug it into the USB port to help keep me from catching whatever is in the air. Not sure how much it will help for that purpose but it is lightweight enough to be truly portable. It helped significantly in a room where fish had been cooked for dinner. Hopefully, it lasts as long as promised! Write a Review for Luft Qi Filterless Air Purifier!